A nd reign in more sweet manner. One of Elizabeth’s mottos was Rosa Sine Spina or Rose Without a Thorn. And as “Shakespeare” writes in Henry VI, Part Three: “The red rose and the white are on his face, the fatal colors of our striving houses,” referring to the Houses of Lancaster and York, which were merged under Henry VII to begin the Tudor dynasty. “Elizageth-Diana-Venus-Virgo is ever young and ever beautiful,” Strong writes, referring to a song by John Dowland. 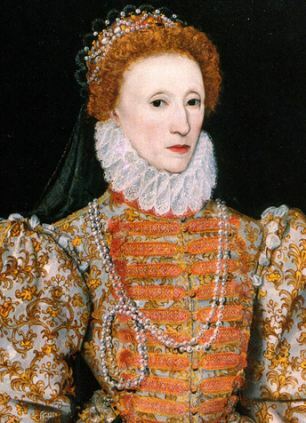 “Her youth is perpetually renewed, like the waxing and waning of the moon.” Images of Elizabeth in the final decade of the reign depict her with the crescent moon of Cynthia or Diana in her hair. I suppose that if William Shakspere of Stratford upon Avon wrote these sonnets he might not have been aware of these associations with his female monarch, or he might have been simply referring to pretty roses and the moon, but I do know this: If her Majesty’s highest-ranking earl wrote them, there is no way he would NOT be referring, quite consciously and deliberately, to Elizabeth Tudor. 33? It’s in the Monument as well. You know that this sonnet is very important for us: there’s the Son in the Monument.